For me, this story starts pre-dawn, Good Friday, 2016. Prior to that date I rode on our roads without fear. After it? Well, not so much. You see, that was the day that Christian Ashby decided to go riding early so that he could be back in time to have breakfast with his young family. Instead he was left lying in the middle of the road by a callous, drug affected driver, who had swerved to the wrong side of the road and collected him head on. The then 36 year old should have died. Organ failure, broken bones, punctured lungs, a shattered pelvis, a ruptured kidney and catastrophic bleeding headed the long list of injuries that doctors had to deal with when they finally got to see him. A fortnight in an induced coma, 108 days in three different hospitals, countless painful hours of ongoing rehabilitation and a drop in weight to just 58 kilograms were only some of the battles that Christian had to face. Then a year later, on the outskirts of the very same town, local cyclist Luke Taylor was hit by a ute. He too, should have died. A fractured pelvis, fractured femurs in both legs, a fractured tibia, a fractured fibula, a shattered elbow and humerus, broken ribs and vertebra, bruised kidneys, a split bladder and a wound from the buttocks to the groin headed Luke’s injury list. 14 hours of surgery, an induced coma, and a painful, ongoing rehabilitation were his reward. Two months later, on the other side of the same town, a 59 year old cyclist was hit from behind and rushed to hospital with head injuries. The town is Ballarat. It’s where I live. A year ago I was riding up to 200 kilometres per week. Now I am lucky to be riding 50. The incidents have had an effect. I didn’t know the cyclists involved in the accidents but I know the roads where they were hit. I ride on them. All of us in Ballarat do. Christian Ashby was hit on Wendouree Parade, perhaps the most popular cycling route in Ballarat. It circles the city’s beautiful lake and curves its way past the botanical gardens. You can’t find a more picturesque place to ride. It has a bike lane for its entire length and much of it is protected by a speed limit of 40 kilometres an hour. It should be safe. I’ve ridden it countless times. So have my sons. Luke Taylor was struck down on Cuthberts Road. It leads from the busy Ballarat suburb of Alfredton, out into the countryside, through quite farmland, and onto Lake Burrumbeet. The section where Luke was hit would be lucky to get one car every five minutes. It is one of my most frequented routes and most Ballarat cyclists would have ridden out that way at some time. For years I had ridden on the road without fear. Sure, there were moments that frightened me and some heart thumping near misses, but you put it behind you and get on with things. Getting knocked off your bike and seriously injured were things that happened to other people, in other, busier towns. Besides, I only rode on ‘safe’ roads. But then, so did Christian Ashby and Luke Taylor. Rebekah Stewart was a disqualified driver when she slammed into Christian Ashby. The 23 year old was under the influence of the drug ice and driving an unregistered car. She was also on the wrong side of the road. The mug shot carried by the newspapers showed an image of a young woman with a vacant stare. She is the type of driver that a cyclist does not want to come up against. Even if 99% of motorists are respectful to bike riders, it means nothing if the 100th car that you come across that day fails to avoid you. It only takes one accident to ruin your life. I’m not the only one to have started thinking this way. A single father I know has given up road riding all together, scared of what will happen to his kids should he get run down. I am certain that Rebekah Stewart didn’t set out on Good Friday morning with the intention of mowing down a cyclist. But just by getting in a car that day she broke a whole list of laws. And when she ploughed head on into Christian Ashby and kept driving, she added heartlessness to the charges as well. When she fled to a friend’s house, hid her car, and claimed that she had hit a kangaroo – well, that’s just plain evil. But that’s what road cyclists are up against every time they go for a spin. Danger from aggressive drivers, danger from inattentive drivers, danger from drivers under the influence of drugs or alcohol, danger from fatigued drivers. The list goes on. Acceptance of riders on the road through a change of culture or attitude will help, but not necessarily eliminate the problem. There will still be accidents due to the factors listed above, and events such as the Hell Ride along Melbourne’s Beach Road – as featured in Bike Chaser’s upcoming documentary – will still polarise the community. It really comes down to one thing. As motorists, we have to make better decisions. We have to be more selective about when we drive. We have to be more attentive when we’re driving. And we have to show more compassion to other road users, whether they be cyclists, pedestrians, or fellow motorists. Christian Ashby and Luke Taylor are inspirations, but not by choice. The way they have fought back from their injuries and tried to move forward with their lives is an example to us all. But they didn’t deserve the pain and suffering that came their way. They didn’t deserve to lose the quality of life they had attained or be forced into the realisation that they would never again be fit and active members of the sporting community. Their families didn’t deserve to be put through the agony of not knowing whether their loved ones were going to live or die. What happened to them is scary. What happened to them could happen to anyone of us. We want to ride our bikes, but we don’t want to die doing it. And so we stop. Not all of us, but some. We think of our own families, we think of our children’s futures, we think of the things we are yet to do. We don’t want to be a headline in a newspaper. So we try riding on quiet roads, but quiet roads didn’t save Luke Taylor. We try riding in dedicated bike lanes along roads with restricted traffic speeds, but that didn’t protect Christian Ashby. We try riding in groups, safety in numbers right? But that didn’t save Amy Gillett. So where can we ride? Unfortunately, for some of us though, the ride is already over. This article is nothing like I imagined it was going to be when I started writing it. It actually took on a life of its own and became a lot more personal and emotive than intended. I also think it became a stronger piece of writing because of that emotion. But a funny thing happened after I finished it. I wanted to ride again. In fact I had an overwhelming urge to jump on the bike and go for a spin. Sure, the brilliant sunshine and the light winds may have had something to do with it, but I also think that getting my concerns down on paper and airing my fears actually helped me put things into perspective. Yes, it can be dangerous out there on the roads, but things are improving, if ever so slowly. The minimum passing distance campaign is having an effect. I took notice on my last ride and cars did seem to be giving me a little extra room. Most of them anyway. 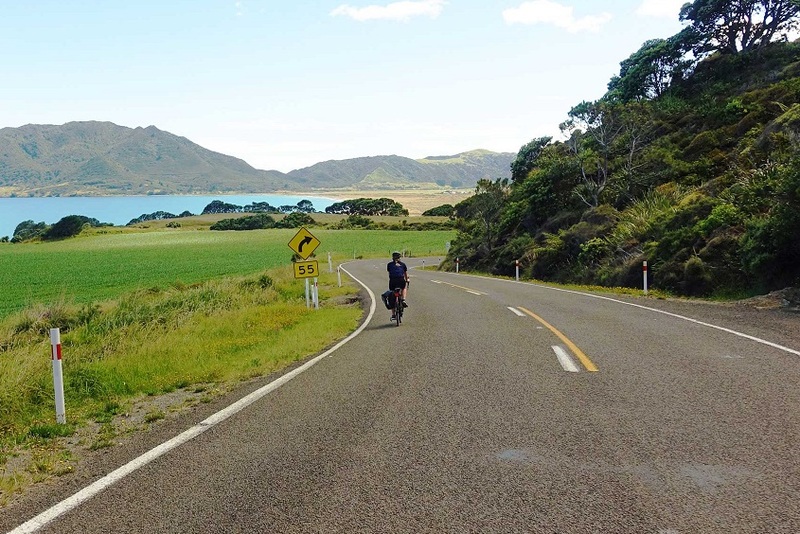 The other heartening thing – despite it being brought on by tragic circumstances – is the outrage and support coming from the general community when a serious accident involving an innocent cyclist occurs. That can’t be all hot air. Both Christian Ashby and Luke Taylor made mention of the wonderful support and encouragement that was given to them by their local communities after their accidents. It shows that, generally speaking, cyclists are being accepted as genuine road users. Respect is building, otherwise that outpouring of grief/sorrow/support wouldn’t be there. The awareness that cyclists are vulnerable road users is spreading and that can only be a good thing. I find this is what I am focusing on now when I jump on my bike. Road cycling is wonderful, so wonderful in fact that once you are bitten by the bug, it is very hard to deny yourself the pleasure. I am rediscovering that pleasure now, comforted by the thought that a change in attitude toward cyclists riding on the road is well in progress. That’s reason enough to keep riding. I too have not been out riding for some time. The bikes broken after my last fall and I’m reluctant to fix it. However it’s also the flashbacks to near misses and one really frightening altercation where a motorist stopped and pushed me clean off my bike. I still remember the ride home with blood running down my legs. I do remember the great remote roads of Australia and how much more I appreciate my surroundings when riding. I’m glad I made it home, my heart goes out to the families and friends of those that didn’t. And I’m very glad Sean has climbed back on his bike and typewriter! A good read and maybe that bike needs to be on the new years resolution list. Thanks Mark. Thankfully I haven’t had an altercation with a driver, but I have had stuff thrown at me, and also a driver once stopped to do burnouts in front of me! It makes you wonder what people are thinking. I guess it makes them feel tough when really it is pretty cowardly. Yes Sean, never give up, ride the velodrome, gravel trails and the safest roads we can find. Christian Ashby and Luke Taylor are not the only ones to suffer unnecessarily. Chris Cashin killed c2007 from behind on narrow country road, I think Gillies Road, at night by female driver of a car. Doug Garley killed May 2012 on narrow country road from behind, near Clunes, by elderly female (80) car driver blinded by sun. Doug would still be training me on our velodrome now if we had not lost this most valuable racer. Damien Turner, national road race, Mount Buninyong King of the Mountain champion, struck from behind, severely injured, August 2011, by a car in Dunnstown, suffering a broken leg and ribs. Mark Templeton severely injured by aggrieved male car driver on Ti Tree Road Warrenheip while on a group ride on Sunday 17 February 2013. It does make me think about it. Hi David, yep, Ballarat has suffered more than its fair share of cycling tragedies. Per head of population it must be almost near the top of the list for most dangerous places to ride! Which is a shame as it is a wonderful, wonderful area to ride a bike. Yeah, I know, I could go mountain biking or stick to the velodrome (which I do love), but honestly, there is nothing better than cruising along the roads at 30 kph (more like 25 kph these days) and just watching the countryside slip by. Wonderfully written article. You have expressed exactly how I feel. For me it has been an extremely tough road ( pardon the pun) back to reasonable health. As you mentioned majority of road users look out for cyclists but it only has to take one not too, as I unfortunately found out. As you also mentioned it could of been anyone that day who was struck by miss stewart, but I drew the short straw. Because of this the cycling community support has been nothing sort of sensational. Despite this broken and battered body, life has to go on and there is always somebody worse off. Bike safety, preventing hit run incidents and drug driving have become an obvious passion of mine. We need to legally provide a deterrent for these people , otherwise it will keep happening. Stay safe and I’m sorry my and luke’s incident had such a negative influence on your road riding. Thanks very much for your words Christian. Like a lot of Ballarat people, I followed your story closely and was horrified at what happened. I remember seeing you some months after the accident taking your kids to swimming lessons (my kids learn at the same place) and being amazed at you even being up and about. It was inspirational to see you trying to get on with things. I guess, in an ideal world, where every road user looks out for every other road user, articles like this wouldn’t need to be written. Unfortunately this is not an ideal world though, and accidents such as yours bring a harsh reality to those of us who like riding our bikes. Sometimes that reality is hard to face. Thank you for your good article. I am a 67 YO avid cyclist and have probably only reached this age because I only took up serious cycling 5 years ago. I am very worried about the outward aggression that many car/truck drivers have towards cyclists. I must admit however that I do know how this attitude was born and is fuelled. I have ridden in many areas/states/ cities throughout Australia and am truly embarrassed at times, when I see the complete arrogance of some of our fellow cyclists. If it is not riding in a bunch that covers the entire road, it is the serious enthusiast who fly through intersections and pedestrian crossings as if their life depended on every second. Yes it is indeed these super arrogant enthusiast that give us bike riders a bad name and cause this bad attitude to cyclists. I have some ideas on how to counter this and would be keen to have them considered for adoption. Thanks for contributing Tom. I agree with you, there are some rogue cyclists out there just as there are rogue motorists. Those cyclists who are rude and arrogant and break the rules give us all a bad name. But surely the general public aren’t so stupid as to tar us all with the same brush? Are they? I would love to hear what your ideas are to counter this. Feel like sharing? Excellent article. Really enjoyed reading it. Well done Sean great article.